We’d love to hear from you and work with you. Let’s connect using one of the methods below to explore more. Follow us for faith and fitness information, inspiration and motivation. Inspirational thoughts, fitness tips and helpful food information (including healthy recipes) are posted 1-2 times per week on our Blog. Subscribe to have the posts delivered straight to your email box. Facebook (http://www.facebook.com/NJFaithAndFitnessServices/) is our most active platform with posts Monday – Friday to encourage and support spiritual and physical stewardship. Regular sharings include Meatless Mondays and Facebook Live broadcasts on a variety of topics Fridays around noon. Join our active and growing community of faithfully fit folks. Like our page and sign up for Live notifications of the broadcasts. Follow our Instagram (@nettyejohnson) for pics of food. Beautiful food. Glorious food. Gardening, exercise, scriptures, and uplifting quotes are also shared along with pictures of family and home life. Connect on Pinterest (@nettyejohnson) to share ideas and spread the word about our favorite things. Follow on Twitter (@nettyejohnson) for quick tips, news, event information and notification of great deals offered by companies in the health and wellness genre whose products we adore. 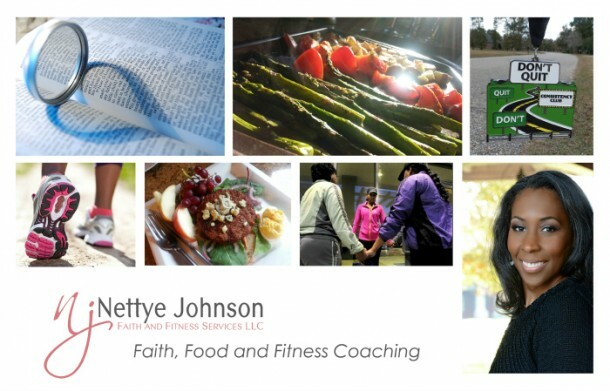 Subscribe to out YouTube Channel (http://www.youtube.com/NJFaithandFitness) for messages, trainings and tutorials. Send general inquiries to info@nettyejohnson.com.